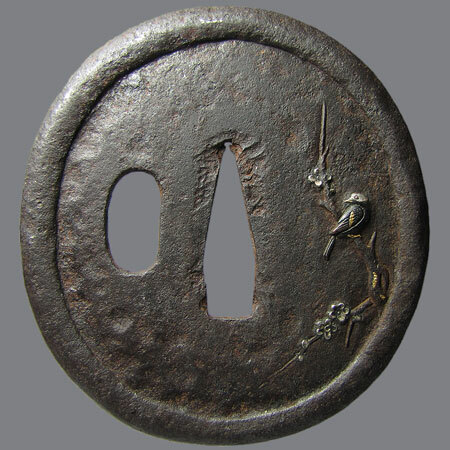 Tsuba with a picture of a bird sitting on an ume branch. 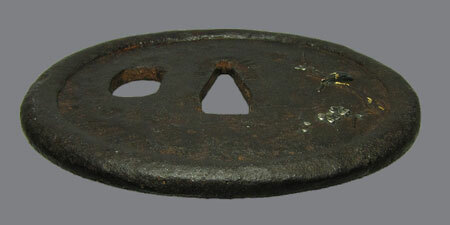 The plate in katchushi style, with raised rim, probably was made in Muromachi era, and the design was added later. 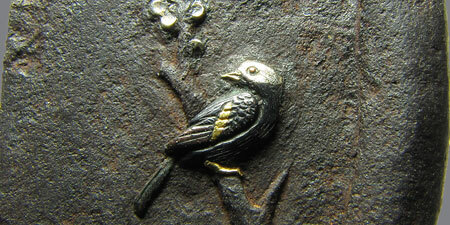 The picture of the bird is inlaid with different precious metals, and it is made very detailed. Most probably, the master depicted a concrete species. It may be Dusky Thrush (Turdus eunomus) - tsugumi (鶇). 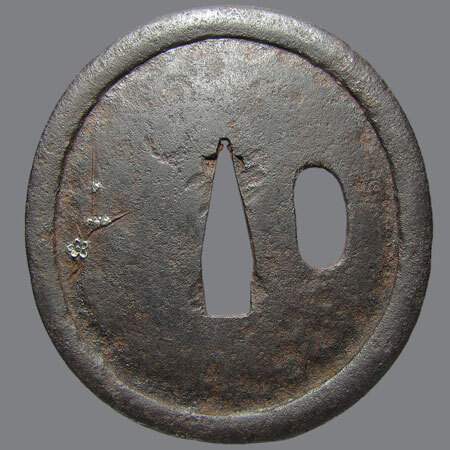 Iron, Sukidashi Bori, iroe zogan with Shakudo, silver and gold. Nagamaru gata, dote mimi; 7,3 х 6,8 х 0,3-0,5 cm.